Bluefin’s Chief Innovation Officer, Ruston Miles, discusses in today’s Dark Reading how retailers can use technologies such as P2PE and tokenization to protect their business and consumers from hackers this holiday season. The holidays are here and while it brings out the shoppers, it also brings out the crooks. Big money will change hands. Based on early estimates from the National Retail Federation, the trade group expects retail sales excluding gas, autos and restaurants in November and December to increase 3.6% to $655.8 billion. That’s significantly higher than the 10-year average of 2.5% and above the seven-year average of 3.4% since the economy began recovering from the Great Recession in 2009. And there’s even more good news for retailers. Ruston Miles, founder and chief innovation officer at Bluefin, says with more retailers using EMV chip cards at their point-of-sale (POS) terminals, the chances for counterfeit cards to get by cashiers has diminished. “Just think about it, when magnetic stripe cards came out people were using cassette tapes and 8-tracks, the EMV chips really do enhance security in the card,” he says. However, Miles adds that the protection EMV chips offer only goes so far. Companies still need to encrypt the card readers on the POS systems and use tokenization to ensure enhanced security. Tip #1. Understand the Limits of the EMV Card. 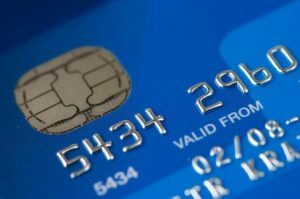 While Miles offers good advice, research by Iovation found that the EMV chips really are driving fraudsters away from brick-and-mortar crime. Iovation found that there was a 20 percent increase in online credit card fraud from Black Friday to Cyber Monday this year when compared to the same period in 2015. There was also a 34% increase in online credit card fraud from Black Friday to Cyber Monday 2014 to 2016. Larry Brennan, senior vice president of merchant data security and cybersecurity director at Bank of America Merchant Services, adds that retailers need to practice good cyber hygiene and be on the lookout for skimmers. Understand the limits of the EMV card. Follow up encryption with tokenization. Adhere to basic PCI DSS standards and common sense security hygiene. Check out the slide show of the six tips here.